Here’s a real summer pick: the band formerly (and currently) known as Summer Salt. It’s like that old saying, a good band name never lies. Yeah, that’s not a saying. But Summer Salt’s name will give you a good idea of their sound. Take a Beach Boys-esque sixties dream, and modernize it, and you’ve got Summer Salt. It’s a little bit of surf, a little bit of the Enchantment Under the Sea dance from Back to the Future, and then maybe the feel of more recent British bands like the Kooks. You’ve got harmonies and back-up singers, a twangy surf-like guitar and a those dependable slow-dance drums. This band has mastered chill, and shaken it up with a shot of nostalgia. Every once in a while you hear a band that makes you want to float in a pool on one of those giant inflatable octopus things with a nice cool drink. I mean, I’ve never actually done that, but Summer Salt would be on my playlist if it ever happened. Also, this would be a great band to fall asleep to. Now, hear me out, I’ve said that before about other bands, and people generally take it as insult, but I never mean it as one. To me, it’s the sign of a truly relaxing, truly pleasing sound if you can sleep to it. I could never fall asleep to a band I didn’t like. 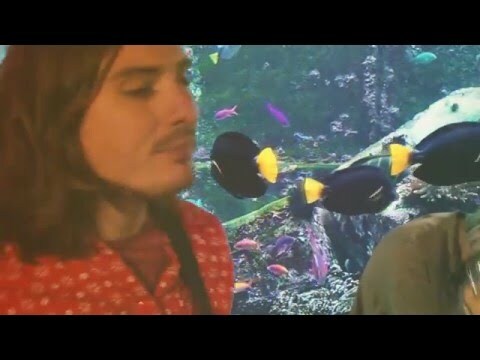 The video for the self-titled song, “Summer Salt” is that rare kind of indie video where the band looks like they actually had a really great time making it. And if you didn’t get the sense that Summer Salt was a chill band from their music, you’ll certainly get it from this video. This is a group decidedly dedicated to good times and chill tunes for all.